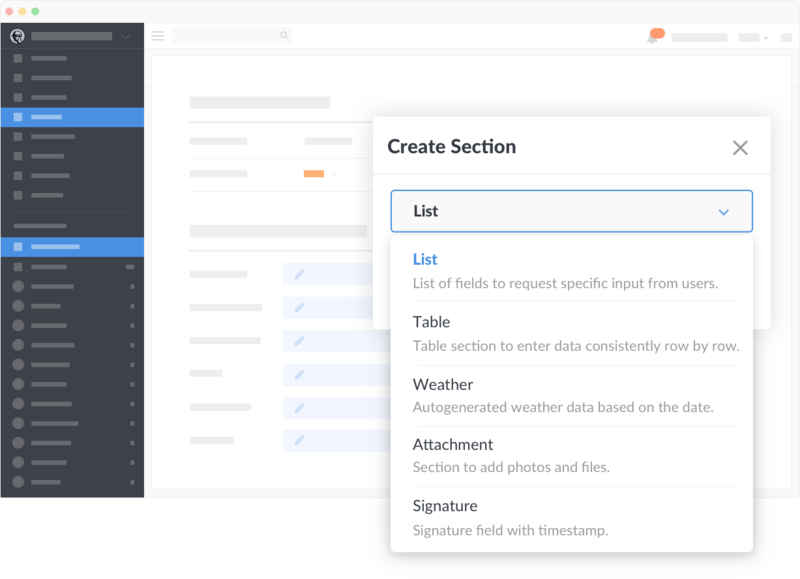 Last summer, Fieldwire introduced a whole new way to use Fieldwire: forms. In that release, Fieldwire forms allowed you to consolidate your daily reports, inspection forms, RFI forms, and timesheet forms into one easily searchable platform. But we heard from our customers that they wanted more. More types of forms and, critically, the ability to modify the forms Fieldwire provides out of the box and build their own custom forms that match the workflows and processes that were already happening on the jobsite. Today, we’re excited to release a major new set of capabilities for our forms. We’ve added two new types of default forms — safety audit forms and time and material (T&M) forms — as well as the ability to customize any form or build your own that matches how you work. Safety audit forms. Safety forms need to be stored in one searchable database to be helpful later. Stacks of boxes of printouts or a jumbled mess of PDFs simply don’t help you if there was any injury or accident on the jobsite. With Fieldwire, complete a safety audit directly from your mobile device and store all of your completed forms in one database. (Read the safety audit forms support page). Time and materials forms. Time and materials forms (or T&M forms) were the other most requested type of form, after the safety audit form. You can now record exactly how long a job took and what materials it consumed while in the field, from your phone or tablet, to help you prepare field-originated change order requests in the office. (Read the T&M forms support page). Since the original release of Fieldwire’s construction forms app, we’ve also added a number of smaller enhancements, including automated weather data and linking forms to specific points on a plan or task. And we’re excited to continue building on the platform this year, including the ability to export and email forms on mobile. Forms is available to our Business customers; if you’re interested in trying it, request a demo or watch our release webinar. For more information about how to get started, sign up for our release webinar on February 13th with Stéphane Denerolle, Director of Product Management for Fieldwire.